I always liked to draw, and as a child, was fascinated by the mystery of drawings in motion. When I was seven or eight I came up with my own theory of how cartoons were made. I believed that they were glued together, one after the other, and that they ran past the back of the TV screen, very, very quickly. I was born in Milan, Italy. I didn’t go looking for a career in animation. It sort of found me. A friend suggested I check out the animation courses at a night school in Milan, so I did. At the time I thought I would be a designer of sorts. Once I started animating, I couldn’t stop. I fell in love with it and set my plans to become a graphic designer, aside. Three years later, I started working in Milan. After just a year on the job, I left Italy and never looked back. My first job abroad was as in-betweener on Balto, at Amblimation, in London. I could not have asked for a better start! It varies according to where I am and what sort of project I’m working on — animation or story. If I am animating at a studio, I usually spend most of my day sitting in front of a computer, or at an animation desk, flipping paper. When working on story, I tend to work mostly at night in my home office, once the house is settled and quiet. As story artist, most of my time I spend standing in front of my dual screen Mac Pro and tablet. I like to stand at my tall desk when I work, to keep the energy flowing. Sitting too long puts one to sleep, and isn’t good for you. It’s all about creativity, the fun of animating and the great satisfaction of seeing a shot completed or a sequence boarded. I love to go to the theater and see the excitement of the kids when they’re watching animation. The work itself gives you opportunities to work with people from around the word. I always liked collaborating with and learning from other cultures. Politics. It gets in the way of the creative process, can get ugly, and is no fun to watch. It’s best to steer clear of that whenever possible, and focus on your craft. It depends on the job at hand, but I tend to use Maya mostly, and of course, Photoshop. Finding enough time to dedicate to my kids. It’s always a delicate balance, but so far I’ve been able to pull it off. It’s easy to become completely absorbed in a job you love so much. The kids are very good at reminding me what’s important though, just by being kids. It’s magic. 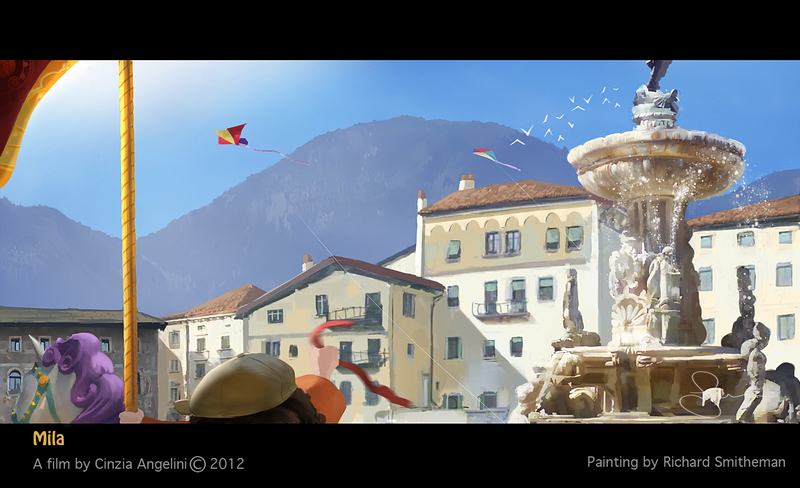 Attending animation film festivals like Annecy usually offers opportunities to meet industry greats. When I was a student I had the chance to speak with and show my portfolio to Glen Kean and Andreas Deja. A few years later I found myself working with them, under the same roof, at Disney Features. I also met both Hayao Miyazaki and Frederic Back once. That was thrilling, and all of them were so gracious and supportive. It made a real impression on me. 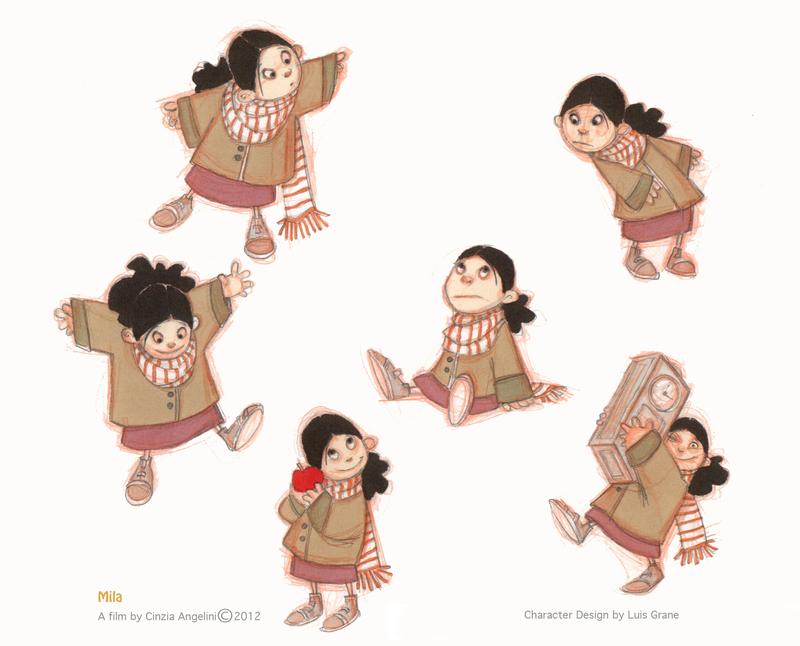 I’ve written and am directing “Mila”, an animated short film that is quite different from the standard cartoon. As it’s the story of a young girl who survives WWII, it’s (unfortunately) still socially relevant today. The film is an elaborate, exciting, volunteer-based project, with 140 artists from twenty countries, currently collaborating remotely via the internet. 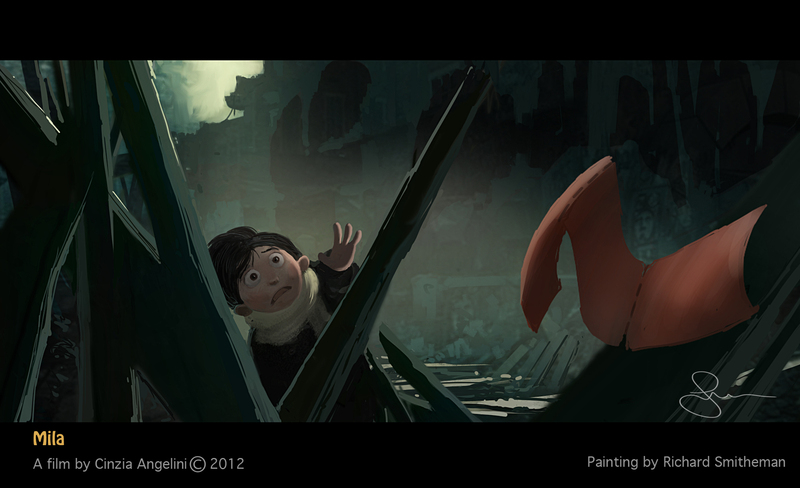 Ibiscus Media is producing, in association with Pixel Cartoon and the Art Institute in Los Angeles. We interact remotely through a forum and server. It’s a fabulous, even humbling experience, and quite overwhelming to see all these people volunteer their time for my project. 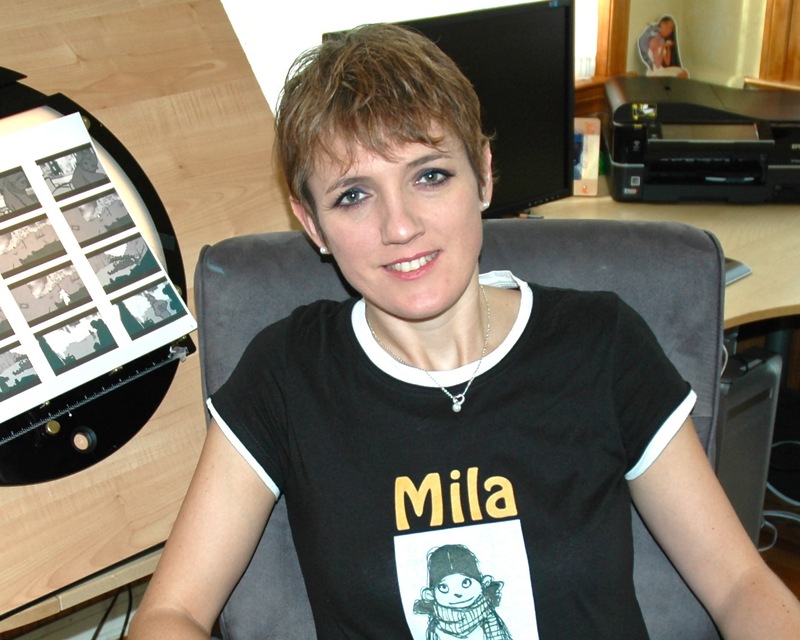 Details of the project and how we work can be found on http://www.milafilm.com. I am very grateful to everyone on my team. Nothing crazy, just keeping centered and happy by practicing Yoga and traveling, when possible. I would advise anyone to be clear on what they want to do, and dedicate all the time they can to learn that particular discipline. It’s also very important to start building a network of people. Besides having talent, knowing people in the studios is key, and very important for finding a good job. (I suppose that’s true in any profession). It’s not just what you know, but also whom you know. Get out there and show your best work. Go to the festivals, the lectures, the screenings. Introduce yourself. Show your work. If it’s good, or even great, someone somewhere will see it, suggest you speak to someone else, and so on. Next thing you know, you’re on your way. But you have to have that portfolio, and you have to get out there. They don’t come to you. You have to bring it. Tagged 2D Animator, 3D Animator, Adobe Photoshop, Amblimation, Andreas Deja, Disney, Duncan studio, Glen Keane, Hayao Miyazaki, Mac Pro, Maya, Story Artist, Wacom Tablet.